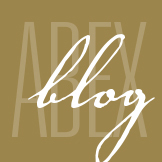 Understanding Construction Contracts - ABEX Affiliated Brokers Exchange Inc.
Construction contracts can contain terms that impact your company’s bottom line. Reviewing them carefully prior to signing is indispensable, and can save your company time and money. This contract review guide is meant to be a starting point for reviewing contracts in general. It highlights some common contract terms and their potential impact. You can begin to understand which terms are most often negotiated in contracts. Then, with the help of licensed inside or outside counsel, you can analyze the commercial risks associated with construction contracts in depth and understand terms and conditions in order to protect your company’s assets. Express warranties are those that are defined specifically in the contract. Implied warranties are based in statutory and/or common law, depending on your jurisdiction. They are two-fold: a warranty of merchantability, which requires that goods/services must reasonably conform to an ordinary buyer’s standards, and a warranty of fitness for a particular purpose, which states that if a seller knows the intended purpose for the product or service, the act of selling the product to that customer implies that it is fit for that purpose. Indemnification provisions allocate risk and cost between the parties. It is important to examine whether the party assuming the risk is the party with the most control over that risk. For instance, when a company’s employees are required to work at a customer’s location, the company is often asked to release the customer from all liability relating to the employees’ presence at the customer’s location. Some contracts will contain minimum bodily injury and property damage liability coverage amounts that the party must possess and they also may require that customers are added as an additional insured on those coverages. Governing Law and Jurisdiction – Look at the governing law provision to make sure that you are comfortable with the implications of the provincial law chosen by the drafter. This can impact the interpretation of the contract from warranties to indemnification. Additionally, when specific laws are referenced in the body of a contract, it is as though that statute or regulation is wholly contained within the contract itself. It is vital to read and understand that language prior to giving your consent. This happens regularly in government contracting situations. Dispute Resolution – This is another clause with which you must be comfortable with the laws of the province or forum chosen by the drafter. The rules chosen to govern dispute resolution can impact the outcome. Additionally, you should consider whether dispute resolution is right for your situation. Term/Termination – The contract should provide both parties with the right to terminate the contract. The situations in which termination is allowed will vary from contract to contract. Some contracts will allow the right to terminate in cases of dissatisfaction; others will allow it with a specific notice, for no cause. It is important that you consider in what cases you would want the right to terminate the contract. There should also be language defining the term of the contract. Does it have a finite term? Does it automatically renew each period? Right to Cure – Related to termination, some contracts will contain a right to cure clause. This would give the defaulting party notice of a breach and a finite period of time in which to remedy such breach. Contracts produced by professional and trade associations for architects, engineers and commercial contractors can serve as important references and benchmarks when drafting a new construction contract. They are a good source of industry best practices, and using them can greatly reduce drafting and review time, meaning lower overall transaction costs for your company. For all of their advantages, there are several things that you should be cautious about when using standard form contracts. Note the following cautions about standard forms before using them. Standard forms, which are written broadly to encompass many different contexts, require transaction-specific and jurisdiction-specific modifications. For example, certain provinces may require that indemnities be written in a certain way. 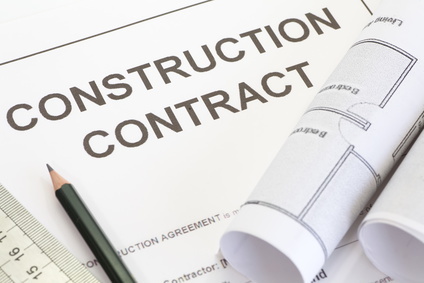 Reviewing general terms and features of a construction contract will help you grasp the consequences of its terms and conditions for your business. In any case, to ensure its completeness and accuracy, it is necessary to submit each contract you must sign to legal review. This entry was posted in Construction Insurance, Insurance and tagged construction, contracts. Bookmark the permalink.